Launched three years ago, the IWC Portugieser Automatic 7-Days is the second generation of a classic, looking much the same as the first generation. Now that’s even more true with the latest addition to the line. The new Portugieser Automatic 7-Days in steel has a silver with rhodium-plated hands and hour numerals, which is exactly the same as the flagship of the first generation, except that was a 500-piece limited edition with a platinum case (ref. IW500104) that cost three times as much. Now the same look is available for a lot less with the stainless steel ref. 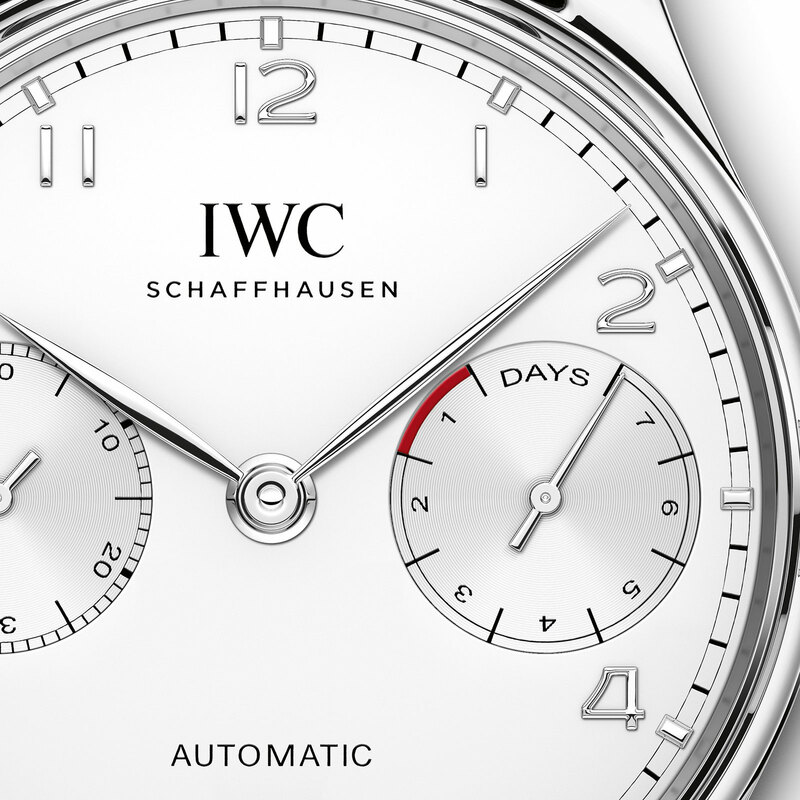 IW500712, continuing IWC’s recent inclination towards reviving designs from the not too distant past. It has a 42.3mm steel case that’s 14.2mm high, with the cal. 52010 inside. The movement is automatic with twin barrels that give it a weeklong power reserve. 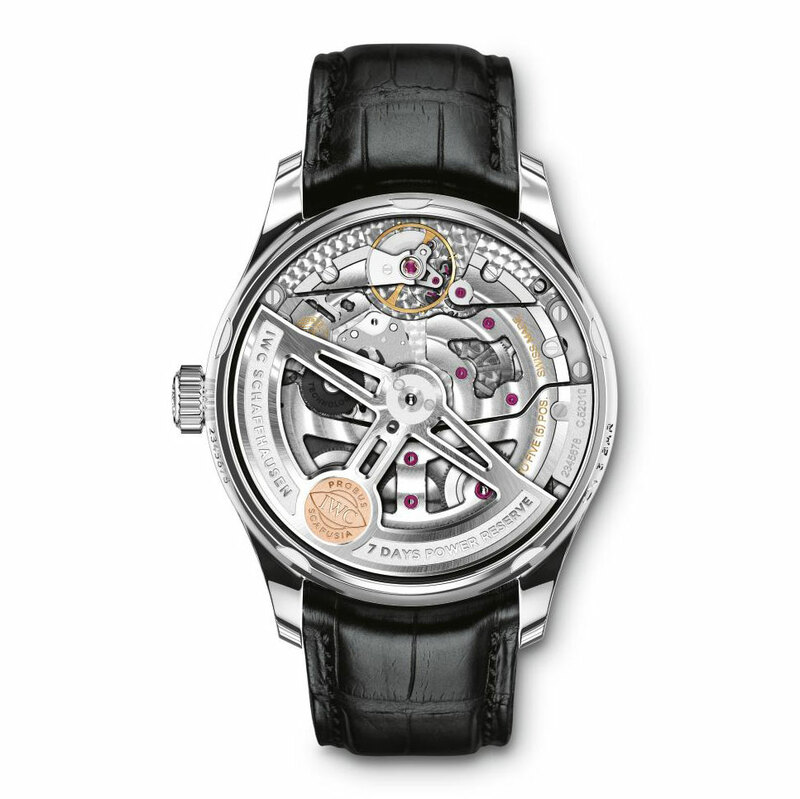 And like most self-winding IWC calibres, it is equipped with the brand’s proprietary bi-directional Pellaton winding mechanism that relies on claws and a ratchet wheel. The Portugieser Automatic in steel (ref. 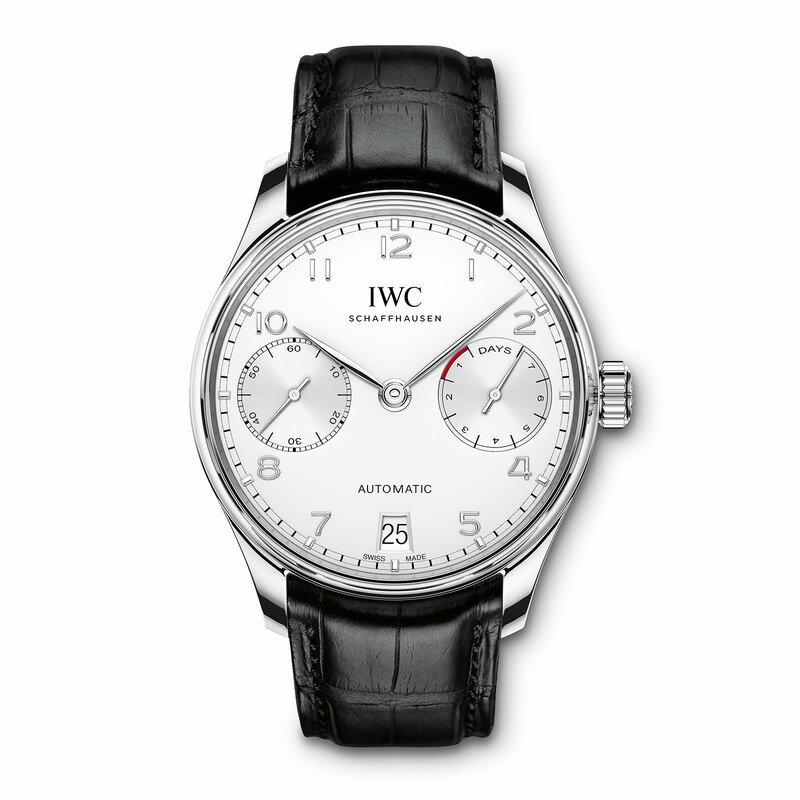 IW500712) is priced at US$12,700, or S$18,400, and is available at IWC retailers and boutiques. The Schaffhausen watchmaker brings back the Portugieser split-seconds chronograph in a limited run to mark the opening of its boutique in Milan. Eight days of power reserve, clean styling and an affordable-ish price. An ironically chunky tribute to an awesomely sleek dive watch.